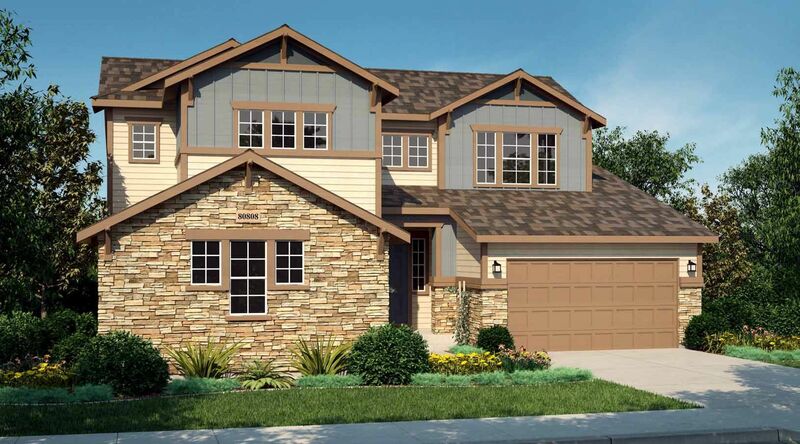 Whispering Pines is a premier collection of ranch and two-story new homes, nestled in a unique Colorado setting on the northern edge of the black forest. Each offers luxurious living space ranging from approximately 2,955 to 4,299 square feet and 3 to 5 bedrooms with 3.5 to 5.5 baths. Whispering Pines features exciting designs with expansive great rooms, kitchens with oversized islands, formal and informal dining, outdoor rooms, luxurious master suites and plenty of room options. And if you’d like, you also have the option of a finished basement featuring a home theater, large rec room or additional bedroom—whatever’s on your wish list.